Being a blogger in a small niche can be really difficult. Chances are, you’ve chosen a topic that you’re passionate about, love sharing your knowledge and work hard, but it’s just not converting into a sustainable income. And you’ve probably seen bloggers in the “big” niches gaining tons of new followers, boasting about traffic, and scoring sponsorship deals with major brands. But I guarantee that any niche can be profitable. You just need to target the right source of income. And for many bloggers, that’s Sponsored Posts. This post contains affiliate links. See the disclosure page for more details. If you’re curious (or in a hurry) this course is highly recommended to fast-track your earning potential. The one major advantage your small niche blog has is a targeted audience. Even if your audience is small, it’s still your greatest asset! Brands are willing to pay top dollar to have their product in front of an audience that is already highly interested in your particular niche. Don’t believe me? Check out how Businesses Can Benefit from Micro -Influencer Marketing. Would a company with a new horse grooming tool want to pay a lifestyle blogger to promote their product? Probably not. After all, it’s likely that a very percentage of their audience actually owns a horse. But they’re happy to be featured on my equestrian niche blog, Savvy Horsewoman, which is targeted directly at horse owners. It’s a win for both the brand and my blog, as well as my readers. Had Doubts About Sponsored Posts? Many bloggers and online influencers skip over sponsored posts. They either think it’s too hard, that it’s a waste of time, that they will turn followers away, or that their followers just won’t be interested. But if you’re not earning money through sponsored posts, then you are leaving money on the table. Perhaps you’ve tried to land sponsored posts in the past, but nothing seemed to work. When I started out blogging, I knew NOTHING about it. I was afraid to try new things, and I was definitely afraid of sponsored posts because I didn’t want to scare my readers away or waste my time. By sheer luck I fumbled my way through a few successful brand partnerships, but also missed out on a lot of good opportunities along the way. Step outside your comfort zone and take action. You never know where the next partnership may take you! Before you take the plunge, I highly recommend taking a course that teaches you the in and outs of sponsored posts, and gives you mentors to follow. For me that’s Michelle Schroeder-Gardner and Alexis Schroeder with Making Sense of Sponsored Posts. If you’re interested, I’ve included details for the course below. 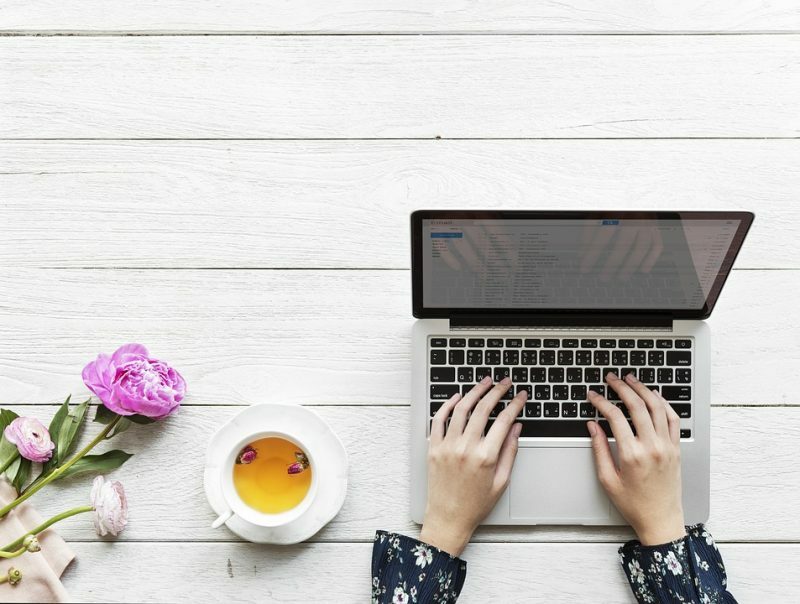 While there are many Sponsored Posts Networks out there to connect you with opportunities, as a small niche blogger I feel it’s best to personally choose a brand that’s a great fit and approach them directly. This allows for you to highlight all the reasons why your audience will LOVE them (even if it’s a small following) and let’s you stand out amongst the bigger blogs. Choose a brand that will organically fit in with your regular content, and ideally one that you already use and trust (or would like to try). Put together a engaging pitch that includes a media kit with your blog and social media stats. Don’t worry if your blog is still small, just focus on your target audience and how that can benefit the brand. Keep the email short, personable and to the point. Not sure what to write? No worries! Michelle and Alexis include examples of emails and media kits in their course. I believe that no blogger, no matter what the size of their audience, should have to accept ONLY a free product as compensation (unless it’s a high value item you need). You’ve worked hard to create content, grow a following and build trust, so don’t sell yourself short! Unfortunately, this is the hardest part of the process for me because I struggle with putting a price on my work. Is it too much? Not enough? (I’m sure some of you can you relate). Luckily, the course shares some really great guidelines to follow that takes the stress (and guilt) out of them process (I’ve now doubled my starting price!). 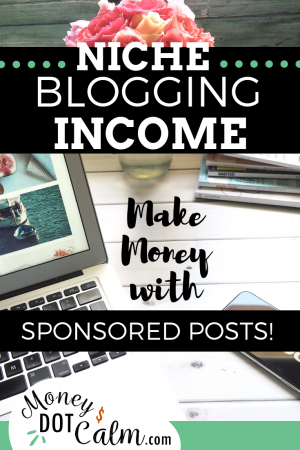 Enjoy the extra income from your blog (and that’s just the beginning). New partnerships can lead to even bigger and better opportunities! If you’re interested in learning more, this extremely helpful step-by-step strategy course gives you 5 modules, over 20 lessons, bonuses, an exclusive Facebook group, and much more. Please click here to check out Making Sense of Sponsored Posts. Tailwind – This is THE Pinterest Scheduling tool, and has helped me grow my Savvy Horsewoman account over 1 million monthly views (and only takes 1-2 hours a week of my time!). If you have a blog, in any niche, you need to get started with Tailwind. Click here to try for FREE! Mailerlite – I’ve been using this email service for several years, and it’s by far the easiest I’ve found. Set up is a breeze and you can get automated email sequences going in no time. I use it for my 7 Day Horse Care Challenge (and to send weekly emails to my 7,000+ subscribers). It’s FREE for your first 1,000 subscribers! Click here to get started. speed, uptime, and customer support (without blowing your budget). Siteground has done all of those for me (including 100% uptime!) and has really helped take my blog to the next level. Check out their Managed WordPress Hosting here. Making Sense of Affiliate Marketing – After taking this course, adding a passive income stream your blog is a piece of cake. Michelle earns over $50,000 a month through affiliate marketing, and she shares all of her best tips in this step-by-step course (it’s helped me earn an extra $1000 this year!). Get started now. Check out the Recommendations page for more. Does your niche blog make money with sponsored posts? Share you tips below! Previous Post Are Meal Kits Worth It?